Like any subculture, the guitar world has its secret heroes. Players who aren’t household names, but who are beloved by other guitarists. Within this subculture are American-influenced players, not all of whom are born in the United States, who specialize in a uniquely American sound that combines country, jazz, bluegrass, and blues. 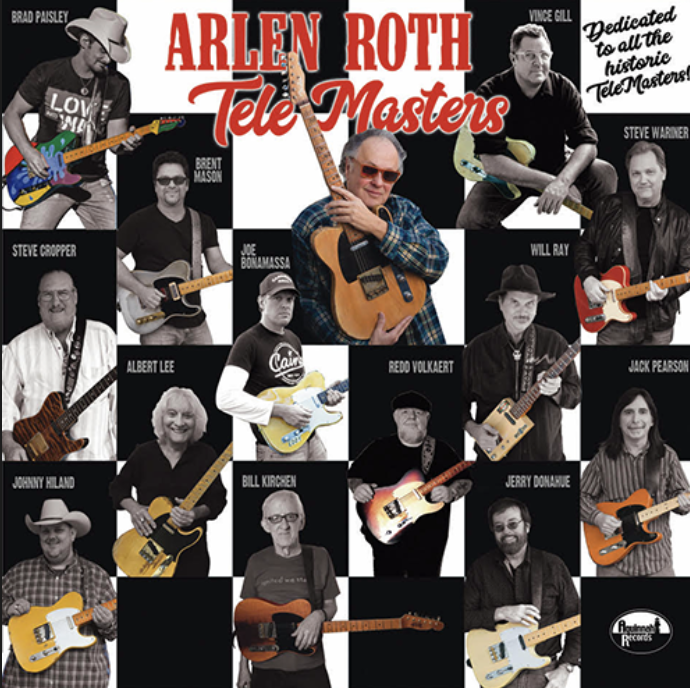 Arlen Roth is one of these revered players, and TeleMasters is his tribute to these less well-known guitar heroes and the Fender Telecaster, the guitar favored by so many of them. This is yet another mega project for multi-Grammy-winning producer Tom Hambridge, aggregating a stunning list of guitarists to play alongside one the best, guitarist Arlen Roth, on Tele Masters. Hambridge plays drums with his long-time bassist Tommy MacDonald, with Arlen’s fellow Woodstocker Cindy Cashdollar on lap steel, and ace acoustic guitarists Billy Panda and Bryan Sutton. The guest guitarists are a veritable who’s who list, in alphabetical order: Joe Bonamassa, Steve Cropper, Jerry Donahue, Vince Gill, Johnny HIland, Bill KIrchen, Albert Lee, Brent Mason, Brad Paisley, Jack Pearson, Will Ray, Redd Volkaert ad Steve Wariner. Take a breath now.